Does your website not perform as well as you’d like it to? 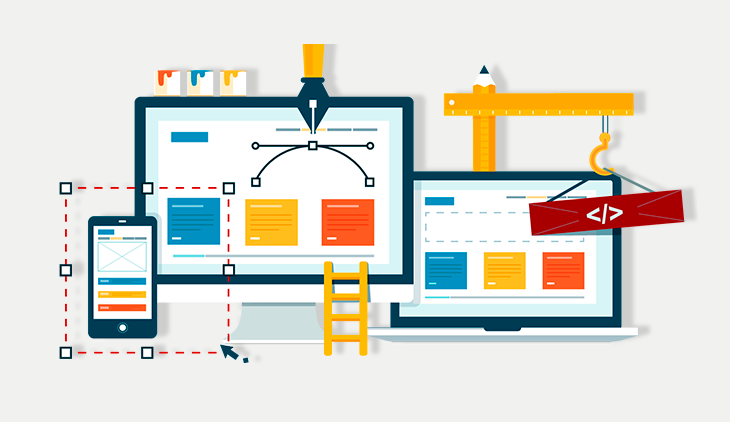 Using these website redesign tips and tools can help improve it fast. Today’s technology allows anyone to upgrade their website without any coding experience. All you need is to apply the right solutions, and some of those are free. This means that even a small business can afford to give their website a great overhaul. The most important step of website redesign is planning. You need to not only outline the upgraded design that looks better to you. You have to collect and process user data to determine the weaknesses and strengths of your current pages. Next, research the most efficient methods of countering those weaknesses. The best tools for collecting and analyzing data include CrazyEgg, FiveSecondTest, UserTesting, and Google Analytics. Note that you should use several different tools to get a comprehensive picture of your website’s actual performance. Changing your hosting is one of the essential website redesign tips that you mustn’t overlook. Otherwise, you might end up with beautiful upgraded pages that will crash when your traffic increases. To avoid this, you’ll need to find a reliable hosting. Measure your website speed and overall performance with tools like Pingdom, GTmetrix, WebPageTest, and Google PageSpeed Insights. This will allow you to see how well it works now and give you some idea of what to look for in an improved hosting package. Promoting your business via social media networks has long become the staple of marketing. This means that if your website isn’t directly connected to your social media accounts, you have to fix this right now. You can use a variety of tools for integrating buttons, content, ads, etc. These are developed by third parties for every social media network available. You should search for these plugins based on your website builder platform as well as your design ideas. Bear in mind that you should add sharing opportunities for as many networks as you can, not only the ones frequented by your audience. Be sure to add Pinterest there as this network is growing more popular by the day and can become a good source of traffic for the majority of industries. You also shouldn’t forget to share your content on social media and optimize it for them. Keep all your channels active and update regularly to get the best feedback. You’ll need to use A/B testing with several design variations to determine which work best. Today it’s possible to check every major page element this way, from fonts to headers. Tools that can help you in website design testing and optimization are Optimizely, VWO, and Google Experiments. Remember, website design optimization is a gradual process. Therefore, you should be prepared to monitor the page’s performance over time and make minor changes depending on the data you collect.